Summer throws up quite a few challenges when it comes to keeping your hair looking great, humidity, perspiration and the fact that no one really wants to spend too long using a blow dryer in Summer setting the stage for a less than perfect effect than is usually achievable in other less challenging seasons. 1 shampoo and condition your hair with the coolest water you can take. Cool water closes your scalp pores leading to less perspiration and oilyness at the scalp and also closes the hair cuticle on your hair, going someway towards resisting humidity from entering your hair which results in making it fluffy and frizzy. For the brave a total cold rinse reins supreme! 2 Adopt a hair serum to smooth through your hair before blowing it out. The serum will put a light coating over the hairs cuticles to further resist humidity and it’s adverse effect on your hair. Serums come in various weights and thicknesses and there’s one to suit all hair types, if you’re not sure which is best for you, I recommend asking your stylist next time you’re in the salon. 3 If you haves curl or wave naturally occurring in your hair, why not try to embrace it by air drying, it’s always going to be an uphill battle at this time of year anyway to keep a smooth look so sometimes switching to something that utilizes the existing movement in your hair can make a massive difference, it always looks better if wavy or curly hair gets affected by the humidity, than leaving home with sleek, blow dried or ironed hair, only to end up with a fluffy hallo crowning it by lunch time. Also naturally dried hair can be freshened up anytime throughout the day with a little spritz of water and a dab of leave in conditioner to get the curls looking good again. 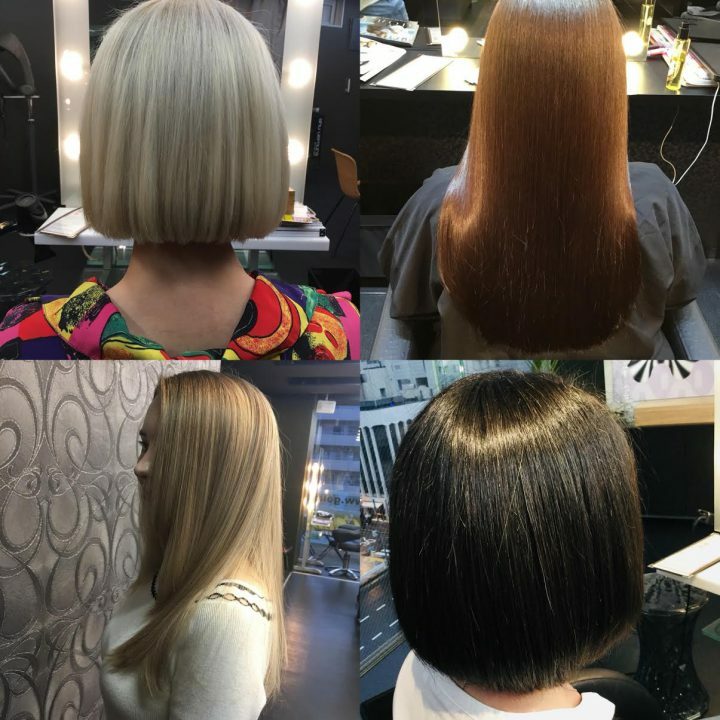 This kind of drying/styling has many tricks to getting it right so I strongly recommend you have your stylist coach you on the correct use of products and other tips to get the best effect possible. I’ve turned people onto this many time over a hot, humid summer and several of them never reverted back to their old habit of pulling out their natural movement with brushing and blow drying ever again. 4 Got longer hair? Try getting it up off your neck. The sheer discomfort, not to mention heat generated with long hair cascading over your shoulders on a 30 plus degree day can be fierce. High ponytail secured just below the crown gives you a much sportier, upbeat vibe that I find suits just about every face shape. With a secure pony in place, you’re only steps away from a myriad of other updos that can really ramp up the elegance whilst keeping things way cooler. Braiding or rope twisting your ponytail creates some very nice finished looks when wrapped back around the ponytail base and secured with 4~5 bobby-pins.